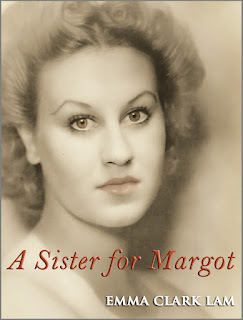 My novel, A Sister for Margot, is FREE to download on Amazon this week for three days only. This is your chance to load up your Kindle (or ipad) with a relaxing summer read! Escape the good old British drizzle with a few balmy days in Ibiza, wartime romance and a mystery to unravel. The book has been rated four stars (out of five) on Amazon with fifteen reviews. On Goodreads it scored 4.4 out of five. Monday 24th June, Tuesday 25th June and Wednesday 26th June. Visit the Amazon page and 'buy' as normal. The price will be £0.00 / $0.00 and you won't be charged! When you have read the book, I would really appreciate a review on Amazon or Goodreads.